OK, the news is a few days old, but in Fruitland Park, they’re lucky to be getting the Internet at all. As of this afternoon, Reggie the “horse-riding spider monkey” is still enjoying his freedom in the wilds of Lake County. On Friday, before a performance of the Liebling Bros. Circus at the North Lake Flea Market in Fruitland Park, the owner of the circus failed to properly latch the door to Reggie’s cage. 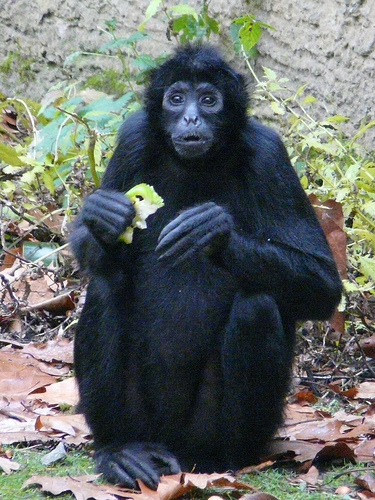 Spider monkeys are known for their intelligence. Reggie saw an opportunity and took it, dashing from the cage and into the woods near the flea market (the flea market is a short distance from Lake Griffin State Park). We wish Reggie luck! Hmmm .. wily monkeys, dubious owners, maligned animal institution … where have I heard this before?